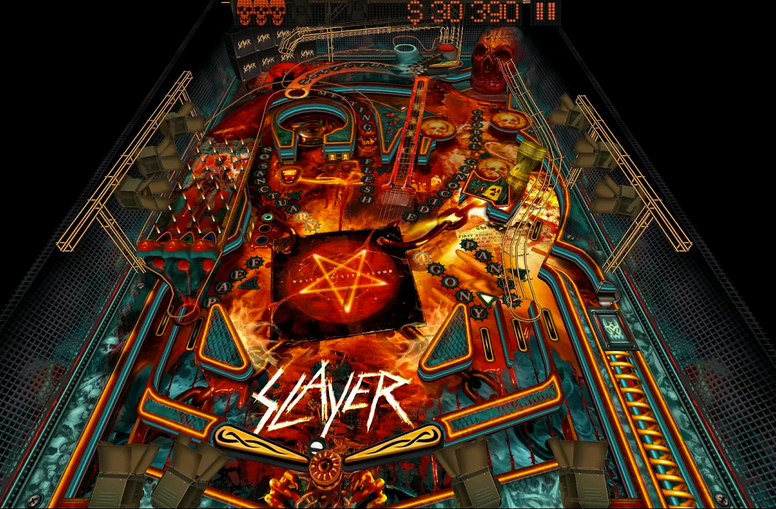 This morning, Sony Music pushed Pinball Rocks HD to Google Play for Android devices, a game that should leave any heavy music fans or pinball fanatics quite happy. It’s your typical pinball game, but given that it has “Rocks” in the title, you can expect to do some intense headbanging throughout. The game features five different tables to rock on, but you can also purchase extras such as an Alice In Chains table, Bullet For My Valentine table, and even a Slayer tablet. RIP Jeff. Raining pinballs. Once you play these tables, the game’s soundtrack is then set to that band’s music. If you are a fan, then you should get a pretty big kick out of this. It’s free to download on Google Play, so if you happen to be a wizard, go grab it.